The Hulk has become one of the big, green cornerstones of the MCU, but any future solo outings are still in limbo. 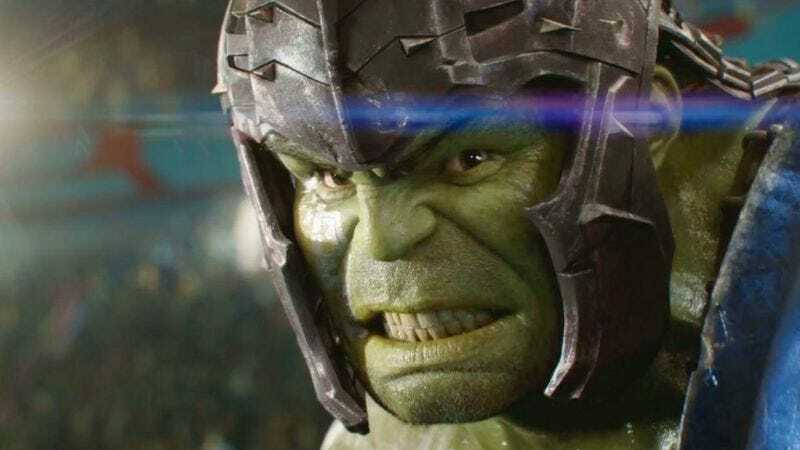 Although we’ll soon see him tearing up the galaxy alongside the Odinson in Thor: Ragnarok, Mark Ruffalo doesn’t think the road-trip film will launch a Hulk franchise. It’s not for lack of interest, from the actor or fans—as he told Variety, it’s strictly (not doing) business. Ruffalo was at Disney’s D23 Expo this weekend, where the first glimpses of Avengers: Infinity War blew people’s minds (though we’ll have to take their word for it, since the trailer wasn’t released). The actor iterated his thoughts on the matter from 2015, which are that Universal and Marvel just haven’t found a way to make it work. Don Cheadle, Ruffalo’s costar, joked that it’s a lack of confidence in Ruffalo’s ability to carry the franchise, because it wouldn’t be a MCU interview without one of the Avengers ribbing each other. But Marvel and Sony did manage to play nice to reboot the Spider-Man franchise, and look how well that turned out. We can only hope that Universal isn’t taking that “Avengers-style universe” thing too literally, and looking for a way to sneak the Hulk into the next Mummy movie.